Is it me or does Mother's Day always creep up on you and before you know it, you're panicking about what gift to buy your mum? This year as I'm now in full time work, I wanted to get my mum something really special that I knew she would love. 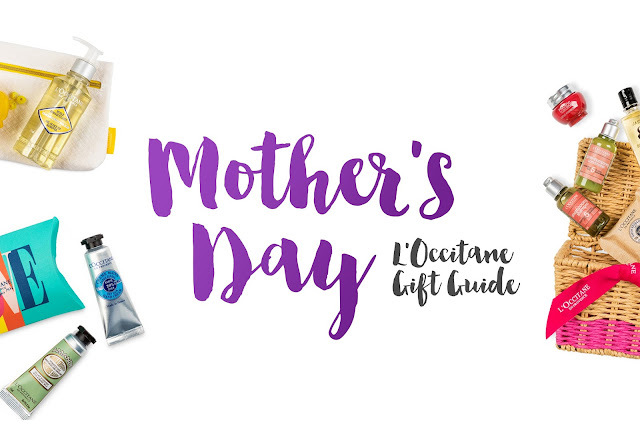 I was recently on the L'Occitane website browsing through to look for a Mother's Day Gift that would be perfect for my mum and came across some of their gorgeous gift sets. It's been quite a tough year for my mum so I wanted to get her something really thoughtful and L'Occitane ticked all the boxes. If you're stuck for ideas of what to get your mum for Mother's Day this year, I really recommend you take a look at the L'Occitane Website, as they have some really lovely products and some great deals at the moment. Also, they have a section dedicated to Mothers' Day gifts, so it's really easy to browse through and find something your mum will love! What are you planning on getting your mum this Mother's Day? I'd love to know your ideas! Shame they test on animals, they do some lovely looking stuff! I love L'Occitane products, especially their lemon range! My mom would love anything from there!